Mr. Terrence Green began New World Investigations and Insurance Consultants in 1996, and has since grown the firm to provide expert investigations and consulting services not only in the U.S. but in multiple countries through trusted global partnerships. Mr Green began New World Investigations and Insurance Consultants in 1996, and has since grown the firm to provide expert investigations and consulting services not only in the U.S. but in multiple countries through trusted global partnerships. He is a licensed private investigator with over 30 years of experience in civil and criminal investigations. As an experienced insurance claims and risk management expert, he has been retained by major insurance companies, independent adjusting companies, insurance claims consulting firms and several prominent corporations providing expert investigative and insurance consultation, as well as expert testimony. His clients have included Bank of America, Taco Bell, Goodyear, AAA, FEMA, civil and criminal attorneys, and individual executive clients throughout the U.S. and around the world. Mr. Green’s believes that the customer comes first, results are the priority, and that professional communication and presentation are key to success with a client’s case. Mr. Green is a U.S Army Veteran and also speaks Spanish. Mr. Robert A. Freeman, Esq. currently serves as General Counsel for New World Investigations and managing partner of Your Juris Doctor, a boutique law firm located in Fullerton, California that specializes in small businesses. Mr. Freeman spent the majority of his seventeen (17) year legal career as a successful trial lawyer. He has been General Counsel for several companies throughout Southern California and Nevada. Most notably, he was General Counsel for a five billion dollar sports complex, hotel and casino development in North Las Vegas. Mr. Freeman is currently on the Board of Directors for several, 501(c) (3) corporations. He also works pro-bono for the Shoshone Piute tribes in Northern Nevada, and is a certified mediator/mediator trainer for the Supreme Court of Nevada as well as a past member of the State Bar of Nevada Disciplinary Commission. 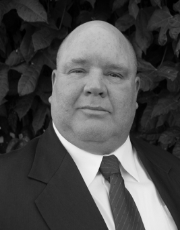 Mr. Freeman has extensive experience as both a mediator and as an arbitrator. He possesses over twenty (20) years of experience as a top negotiator for some of the nation’s largest insurance companies – including Liberty Mutual, State Farm, and C.S.A.A. During his extensive career, he has been instrumental in resolving numerous, multi-million dollar disputes.